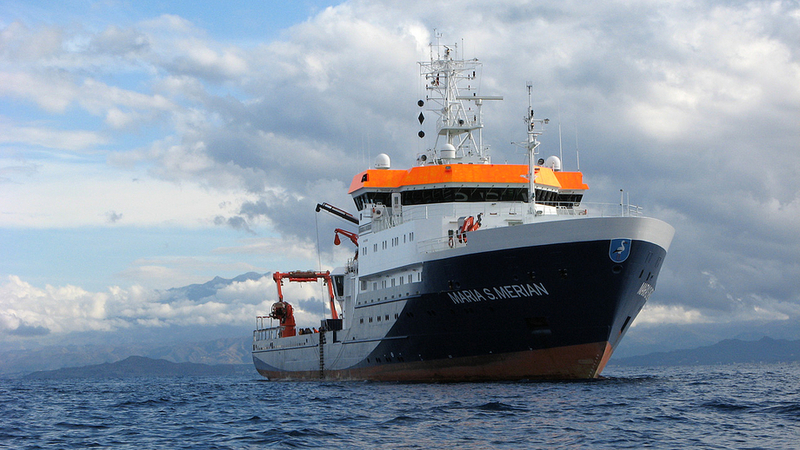 The research vessel Maria S. Merian is a multidisciplinary research platform equipped with outstanding facilities which allow the use of all modern methods of investigation of the sea bottom, the water column and the atmosphere. The size of the vessel and its ice-breaking reinforced hull allow it to operate not only in the Mediterranean and the North Atlantic but also in the subpolar Norwegian Sea. 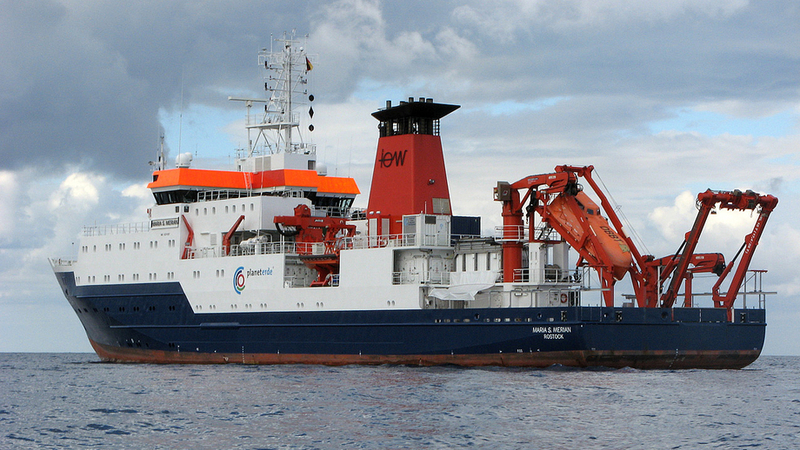 With accommodation for 22 research personnel, the Maria S. Merian is Germany's fourth largest research vessel. With the Meteor, the Maria S. Merian is the second research vessel funded by the DFG together with the Federal Ministry of Education and Research (BMBF) as a central research facility. The DFG bears 70% and the BMBF 30% of the operating costs for the vessel. The investment costs were shared by the BMBF and the coastal states of Mecklenburg-Western Pomerania, Schleswig-Holstein, Bremen and Hamburg. The Maria S. Merian has its home port at the Institute for Baltic Research in Rostock-Warnemünde (IOW) and is owned by the state of Mecklenburg-Western Pomerania. 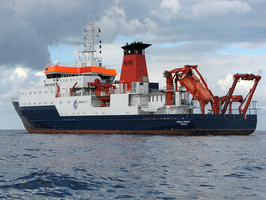 The operation of the vessel is managed by the German Research Vessels Control Station at the Institute of Oceanography, University of Hamburg. 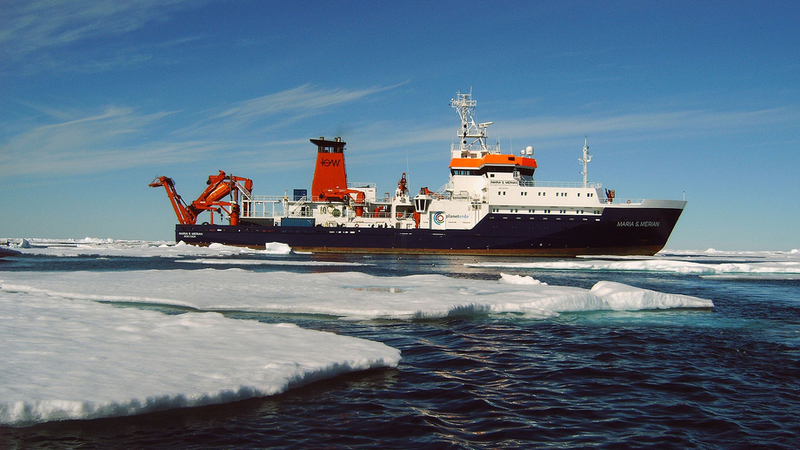 By funding the research vessels as central research facilities, the DFG ensures a fair distribution of ship time according to scientific quality criteria. The Maria S. Merian, like the Meteor, is available to all German marine researchers in accordance with generally accepted rules. The scientific itinerary is coordinated by the DFG Senate Commission on Oceanography. The Advisory Board of the Maria S. Merian deals with questions about the employment of the vessel and questions relating to its operation; in particular, it determines the yearly budget and decides on the use of the vessel, taking into consideration the various interest groups.